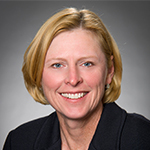 Lynn Dennison, 55, is the company’s Chief Legal & Transformation Officer, effective February 2018, and Corporate Secretary, effective January 2019. 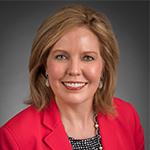 She joined the Sterling Jewelers Division in January 2011 as Senior Vice President, Legal, Compliance and Risk Management, and was promoted to Signet Chief Legal, Risk & Corporate Affairs Officer in December 2014. During her tenure at Signet, she has led numerous functional groups, including Real Estate and Store Planning, Indirect Sourcing and Internal Audit. 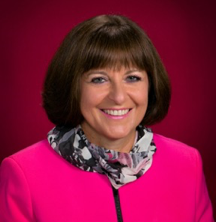 Prior to joining Signet, Ms. Dennison held senior legal positions at Tecumseh Products Company and Honda of America Mfg., Inc.
Virginia “Gina” C. Drosos, 56, is the Chief Executive Officer and has been on Signet’s Board of Directors since 2012. Gina previously served as President & CEO of Assurex Health, where she delivered significant revenue growth and executed the strategic sale of the Company to Myriad Genetics for up to $410 million. 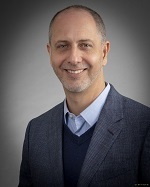 Oded Edelman, 52, Chief Digital Innovation Advisor of Signet, is also the Founder and CEO of R2Net, the parent company of leading online diamond and bridal jewelry retailer, James Allen. Edelman began his career as a diamond polisher for his family’s diamond business. He developed machines that automated the polishing process. This innovation increased efficiency for diamond manufacturers, and ultimately lowered the cost of finished diamonds for consumers. In his next role, Edelman traded diamonds throughout Belgium, Russia, South Africa and Israel, and later became a Rio Tinto Sight Holder. He leveraged these relationships to found a robust wholesale diamond network. With an efficient diamond supply chain in place, in 2007, Edelman founded James Allen. The innovative bridal retailer brings the offline jewelry shopping experience online, making it possible for consumers to purchase a high quality engagement ring at an exceptional value with complete confidence and transparency. Signet completed the acquisition of R2Net on September 12, 2017. 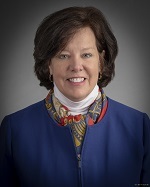 Mary Liz Finn, 58, became the Company’s new Chief People Officer (CPO) in May 2018 and is responsible for Signet’s “People First” core value. She will lead the HR team in delivering world-class programs that support our business and engage our employees. Mary Liz previously served as CHRO of Nielsen and provided HR leadership during two major successful transitions; the company’s IPO and the CEO succession. Prior to Nielsen, she spent 26 years at GE and has significant experience empowering employees during business transformation, developing leaders, providing effective training and development opportunities, and building diverse, inclusive, and successful teams throughout her career. 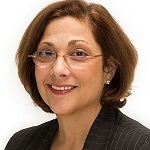 Joan Hilson, 59, joined Signet Jewelers in March of 2019 as Chief Financial Officer. Prior to joining Signet, Ms. Hilson was EVP, Chief Financial and Operating Officer of David’s Bridal, Inc. and prior to that, held senior financial positions at American Eagle Outfitters, Inc, and L Brands, Inc.
Steve Lovejoy, 53, joined Signet as the Company’s new Chief Supply Chain Officer in June 2018. Steve comes to Signet from Glanbia PLC, a nutritional foods company where as the Chief Operating Officer he led the end-to-end global supply chain including 12 manufacturing plants and 30 distribution centers. 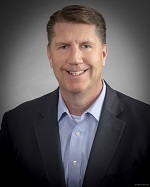 Prior to Glanbia, he served as Senior Vice President of Global Supply Chain at Starbucks Coffee Company, focused on quality, service and the significant global growth agenda and as Vice President, International Supply Chain at The Clorox Company. 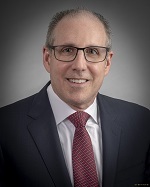 Howard Melnick, 57, became Chief Information Officer (CIO) in 2018, following his service in this position as interim CIO. He is accountable for developing and implementing global IT strategies that enable business value. Prior to Signet, Mr. Melnick was CIO at Ralph Lauren. Previous technology leadership positions were at Marriott International and Pepsi-Cola International. He is also a Certified Public Accountant. Carol Schumacher, 62, joined Signet in 2018 as Chief Communications Officer. Her prior experience included corporate officer positions in communications, investor relations and corporate affairs with Walmart, Home Depot and Intercontinental Exchange.